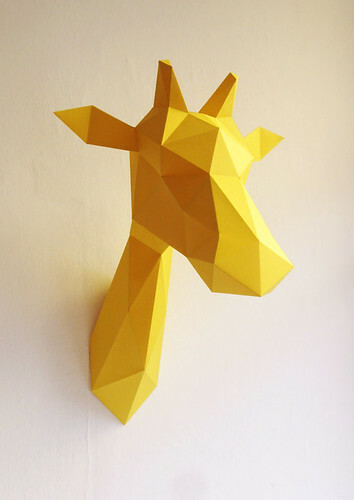 I came across Assembli DIY via an Etsy email and knew immediately I would feature the fun paper animals that Joop Bource, a product and set designer in Breda, Netherlands, creates. Because who wouldn't love this face?! 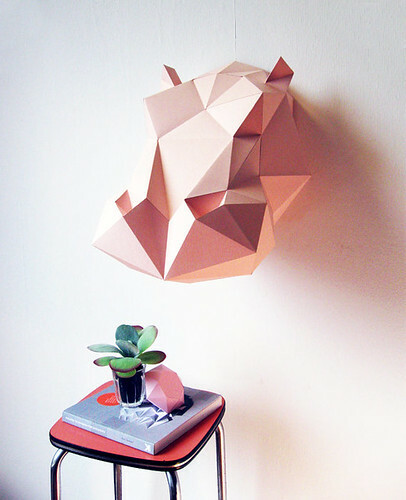 Longtime readers will remember how fond I am of paper crafting kits, and Joop's wall trophies seem like they would make for enjoyable crafting sessions. I'm picturing a colorful lineup as playroom or nursery decor. 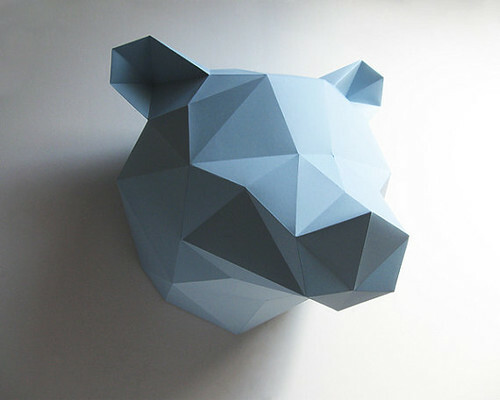 A purchaser's review mentions that putting together the hippo is just like assembling an IKEA flat pack. So there you go... the animals are completely doable once you make up your mind to get started. The giraffe is the newest member of the menagerie. 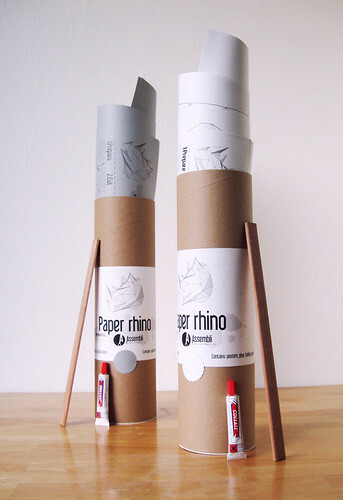 Kits are shipped in cardboard tubes along with appropriate adhesive and a burnishing stick to sharply crease the folds. 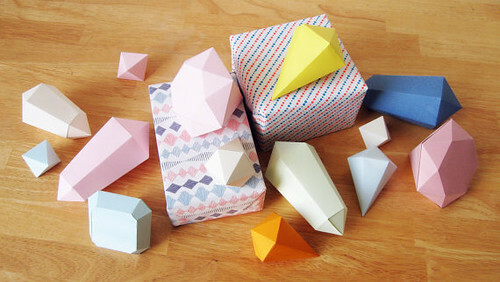 If you prefer immediate gratification, make a batch of pretty paper crystals. They're available as downloadable templates. In addition, Joop has created templates for a folded airplane and boat, and previously, this cool/creepy skull. He mentioned to me that he's considering a new, downloadable skull, and be on the lookout for a simple Christmas tree template and a larger tree kit coming this autumn. As usual, this is not a sponsored post - I just liked what I saw when I visited Assembli DIY, which is also on Facebook. 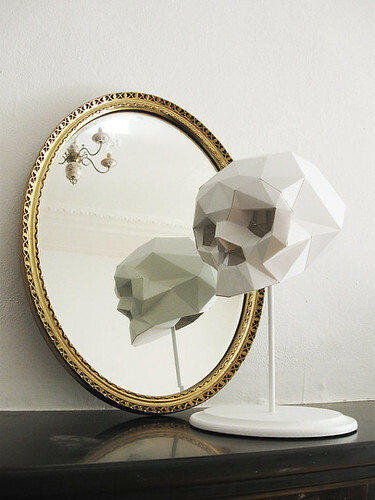 Amazing how paper can be folded to making so many different shapes. The giraffe is my favourite.